(VEN) - After 10 years of administrative boundary adjustments, Hanoi’s suburban districts are benefiting from positive changes in socioeconomic development and infrastructure. Pham Hai Hoa, Party Committee Secretary of Phu Xuyen District, said the district has seen visible changes in agriculture within the past decade, with farmers’ incomes rising due to land regrouping that created favorable conditions for the restructuring of crop and livestock. Phu Xuyen District has completed land regrouping of 8,964ha, creating specialized agricultural production areas and thus contributing to the growth of farming value. After the regrouping, the district turned to restructuring, shifting more than 2,371ha of ineffective rice-farming land to flowers, annual crops, and animal breeding. 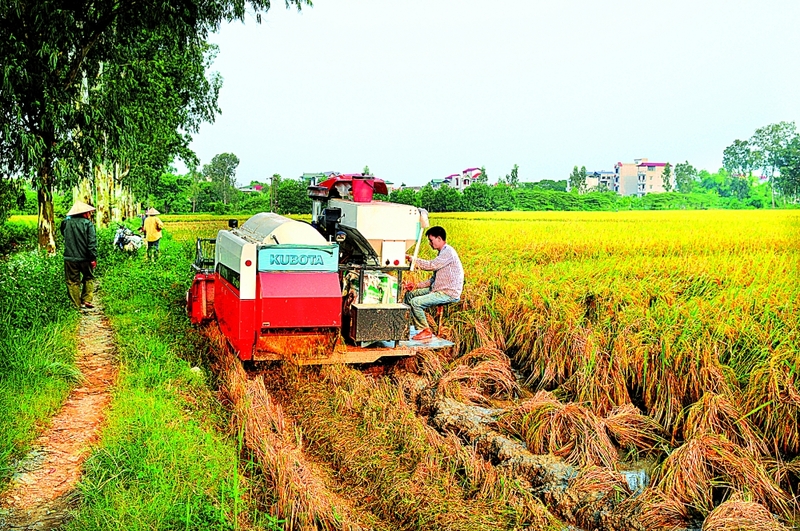 While other localities are struggling to promote agricultural development, Phu Xuyen District has implemented mechanization effectively, too. The district has provided financial support for cooperatives and farming households to buy machinery and equipment. The district now has 455 soil-making machines, two automatic sowing machines, 11 continuous harvesters and 146 rice planting machines. As a result, rice productivity has increased from 200kg per hectare to 300kg, while production cost has dropped by VND3-3.5 million per hectare. The district’s agricultural production value in 2017 reached nearly VND1.75 trillion, a 3.32-fold increase compared to 2008. Nguyen Huy Dang, deputy director of the Hanoi Department of Agriculture and Rural Development, said that after 10 years of administrative boundary adjustment, Hanoi’s agricultural production has seen growth, with added value increasing from 1.75 percent in 2006 to 2.4 percent in 2015, and expecting to increase to 3.5-4 percent by 2020. By land regrouping, Hanoi has formed 1,230 farms according to new criteria, including 920 breeding farms, 190 aquaculture farms, and 120 mixed farms and about 2,500 small and medium-sized production models covering an area of 15,000ha. Regrouping has also enabled the establishment of specialized production areas, enhancing the added value of the agricultural sector. 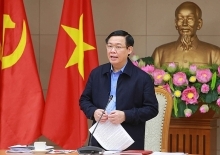 However, Nguyen Huy Dang said agricultural development has not met its potential in all the suburban areas, and agricultural restructuring was slower than hoped for. 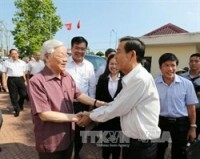 Some four districts (Gia Lam, Dong Anh, Hoai Duc and My Duc) have not completed land regrouping. In addition, land use right certificates have not been granted to 6,620 farmers in 10 districts after land regrouping. The living and income of a group of farmers far from the center, and ethnic minorities, remain low. In particular, the rate of poor households is still relatively high, such as Ba Vi (4.8 percent), My Duc (4.24 percent), and Chuong My (3.65 percent). The rate of rural people using clean water in suburban districts remains low, such as Ung Hoa (29.5 percent), Chuong My (33 percent), and My Duc (31.5 percent). In addition, vocational training for farmers has not met the requirements. 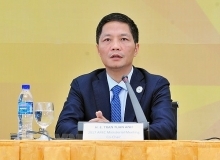 Ngo Thi Thanh Hang, deputy secretary of the Hanoi Communist Party Committee, said the capital would focus on developing high-tech agriculture, ensuring food safety and hygiene, speeding up mechanization and automation to improve productivity and product quality, enhancing state management capacity in agriculture, and intensifying training in agricultural techniques. has increased by three times compared to 2008.